Finland’s Presidency of the Council of Europe will start on 21 November 2018. Secretary General of the Council of Europe Thorbjørn Jagland will visit Finland on 8 November. During his visit, Secretary General Thorbjørn Jagland will meet Minister for Foreign Affairs Timo Soini, President of the Republic Sauli Niinistö and Speaker of Parliament Paula Risikko. Finland’s Presidency will emphasise the Council of Europe’s work to promote human rights and the rule of law and to reinforce the rules-based international system. Finland also wishes to deepen the understanding of how new technologies affect human rights. 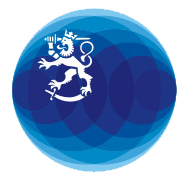 An international conference on artificial intelligence and human rights will be organised in Helsinki on 26–27 February 2019. 3) openness and inclusion — as well as a focus on young people and the prevention of radicalisation. Finland will hold the Presidency at a time when the Council of Europe is facing major political and economic challenges. Topical political issues will include Russia’s voting rights and non-payment of its financial contributions to the Council of Europe. The reform of the Council of Europe, coinciding with Finland’s Presidency, will also be on the agenda during Secretary General Jagland’s visit to Finland. Moreover, the Council of Europe will celebrate its 70th anniversary in May 2019, which will reflect on Finland’s Presidency. Finland’s Presidency of the Council of Europe will last until the end of May 2019. Inquiries: Riikka Taivassalo, Special Adviser to the Foreign Minister, tel. +358 46 923 4581 and Merja Lahtinen, Desk Officer, tel. +358 295 350 971.